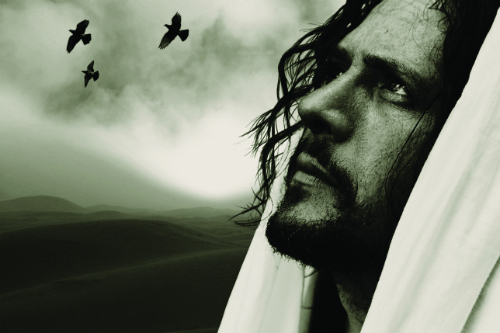 Operation Jesus Christ Deaf Ministries: Is it possible to know when Jesus is coming back? Matthew 24:36-44 declares, “No one knows about that day or hour, not even the angels in heaven, nor the Son, but only the Father…Therefore keep watch, because you do not know on what day your Lord will come…So you also must be ready, because the Son of Man will come at an hour when you do not expect Him.” At first glance, these verses would seem to provide a clear and explicit answer to the question. No, no one can know when Jesus is coming back. However, those verses do not say that no one will ever be able to know when Jesus will return. Most Bible scholars would say that Jesus, now glorified in Heaven, knows the timing of His return, indicating that the phrase “nor the Son” does not mean Jesus will never know when He will return. Similarly, it is possible that, while Matthew 24:36-44 indicates that no one at that time could know the timing of Jesus’ return, God could reveal the timing of Jesus’ return to someone in the future. In addition, there is Acts 1:7, which states, "It is not for you to know the times or dates the Father has set by His own authority." This was said by Jesus after the disciples asked Him if He was at that time going to restore the kingdom to Israel. This would seem to confirm the message of Matthew 24. It is not for us to know the timing of Jesus coming back. But, there is also the question of to which return these passages are referring. Are they speaking of the rapture or the second coming? Which return is unknowable— the rapture, the second coming, or both? While the rapture is presented as being imminent and mysterious, the timing of the second coming could potentially (probably) be pinpointed based on end-time prophecy. With that said, let us be abundantly (fully) clear: we do not believe that God has revealed (told) to anyone when Jesus is coming back, and we see nothing in Scripture which indicates that God will ever reveal to anyone when Jesus is coming back. Matthew 24:36-44, while spoken directly to the people in Jesus’ time, also contains a principle. The timing of Jesus’ return and the end of the age is not for us to know. Scripture nowhere encourages us to try to determine the date. Rather, we are to “keep watch, because we do not know on which day our Lord will come” (v. 42). We are to “be ready, because the Son of Man will come at an hour when we do not expect Him” (v. 44). The force of Jesus’ words diminishes if at some point in the future someone will be able to determine when Jesus is coming back. If the date is discovered, we no longer need to “keep watch” or “be ready” until the date is approaching. So, with the principle of Matthew 24:36-44 is mind, no, it is not possible for anyone to know the date that Jesus is coming back. Despite this clear biblical principle, many throughout Christian history have attempted to prophesy the date that Jesus is coming back. Many such dates have been proposed, and all of them have been wrong. Today, there are two popular proposed dates: May 21, 2011, and December 21, 2012. The December 21, 2012, date is related to the Mayan calendar, with no biblical data used as evidence. The May 21, 2011, date is proposed by Harold Camping of Family Radio. It should be noted that Harold Camping previously predicted that Jesus would come back in 1994. Obviously, Camping was wrong. This should give us yet another reason to doubt the validity of his prediction of May 21, 2011. Camping, does, however, claim to find evidence for the May 21, 2011, date in Scripture. By using a speculative date of 4990 B.C. for the Flood, and then applying the “with the Lord one day is as a thousand years” of 2 Peter 3:8 to the seven days of Genesis 7:4, and then counting down the 7000 years from 4990, the year 2011 results. Then, based on “the seventeenth day of the second month” from Genesis 7:11 and using the Hebrew calendar, the date of May 21 is determined. So, is there any validity to Camping’s methodology? First, Camping conveniently ignores the second half of 2 Peter 3:8, “and a thousand years as one day.” Further, 2 Peter 3:8 is not providing a method for dating the end times. Rather, 2 Peter 3:8 is simply saying that God is above and beyond time. God is timeless, infinite, and eternal. Second, nothing in the context of Genesis 7:4-11 indicates that the “seven days” and “seventeenth day of the second month” are to be interpreted as applying to anything other than what God was specifically saying to Noah. Third, the Flood being dated to 4990 B.C. is speculative at best, with no explicit biblical evidence. Camping’s calculation of May 21, 2011, falls apart with even the most basic biblical scrutiny (close examination). Now, is it possible that Jesus is coming back on May 21, 2011? Yes, but it is just as possible that He will come back on any other date. Does Harold Camping’s particular dating methodology have any biblical validity? No, it does not. Assuming that Jesus does not return on or before May 21, 2011, Camping and others will surely calculate new future dates and will attempt to explain away mistakes by “errors in the formula” or something to that effect. The key points are (1) the Bible nowhere encourages us to attempt to discover the timing of Jesus’ return, and (2) the Bible gives no explicit data by which the timing of Jesus’ return can be determined. Rather than developing wild and speculative calculations to determine when Jesus is coming back, the Bible encourages us to “keep watch” and “be ready” (Matthew 24:42-44). The fact that the day of Jesus’ return is unknown is what should motivate us to live every day in light of the imminence (closeness) of Christ's return.